“The Artist” opens in 1927. Matinee idol George Valentin (Jean Dujardin) is one of the biggest stars of the silver screen, loved by all in an era where film contained nothing more than images and music. But that era is coming to a close. 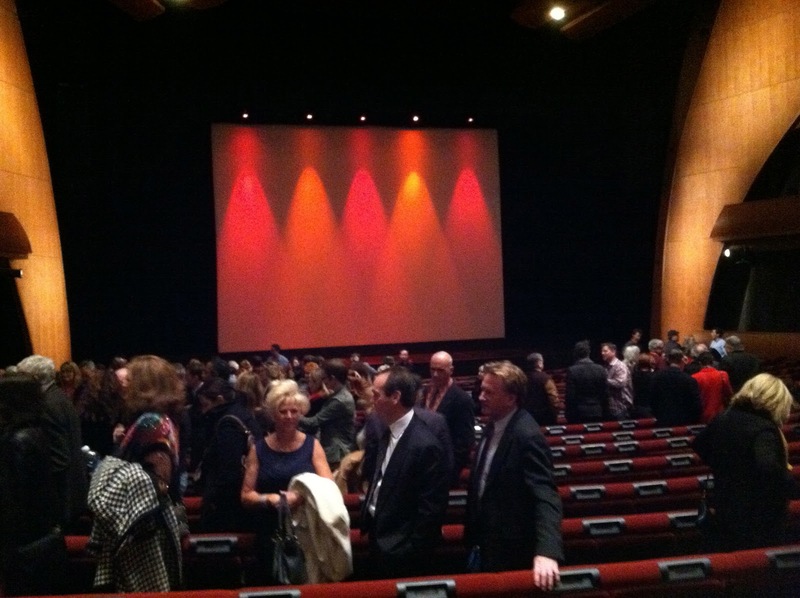 Sound has just been introduced into film, and the first “talkies” are a hit with audiences. Suddenly, Valentin’s production company has no more interest in silent film, and Valentin’s rejection of sound puts him out of a job. Meanwhile, a young actress who Valentin discovered on a silent production, Peppy Miller (Bérénice Bejo), becomes one of the first stars of the sound era, essentially replacing Valentin as the biggest star in Hollywood. Like Valentin’s movies, “The Artist” is a silent film. There is no dialogue; instead, what speech we are made privy to is provided through intertitles. There are no sound effects, save for a few key moments I dare not spoil here. In essence, the film’s only sound is the rich, lavish orchestral score, and even this is a throwback to the era, an homage to the score a live Orchestra would play in an opera house at a film premiere. 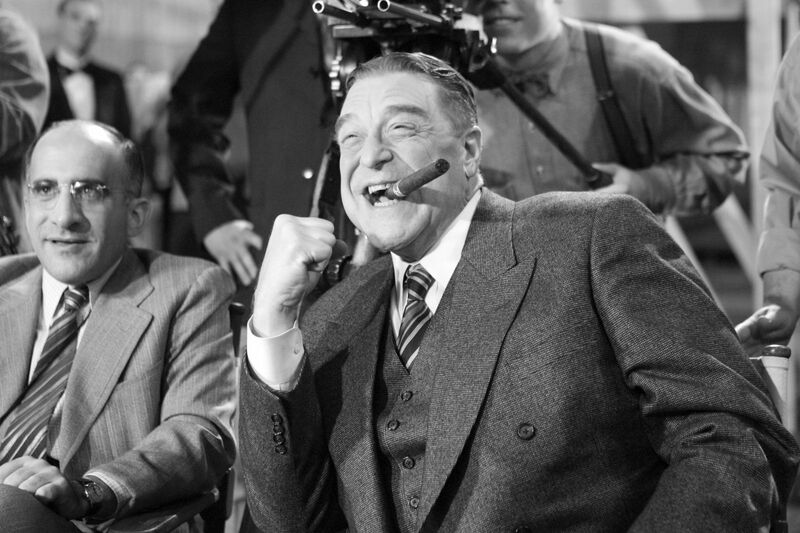 The photography is black-and-white in the 1.33:1 aspect ratio, with classical Hollywood soft lighting; the opening credits are even done as a grand series of slides. “The Artist” is completely committed to its aesthetic, and the results couldn’t possibly be any more rewarding. I’ve had a fascination with silent, black-and-white films for as long as I can remember. When I was little, I made a number of silent film shorts using Legos, and when I created an internet series dramatizing my high school Debate team, I shot one of the episodes in black-and-white without sound. So “The Artist” grabbed my heart right away; the aesthetics alone would probably earn the film an A-level grade in my book, no matter what the story. 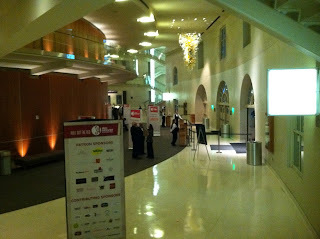 This isn’t just an homage to silent cinema, but a gorgeous, loving re-creation of a faraway era. It can be riotously funny one moment and poignant the next, but always with a playfulness befitting the style. 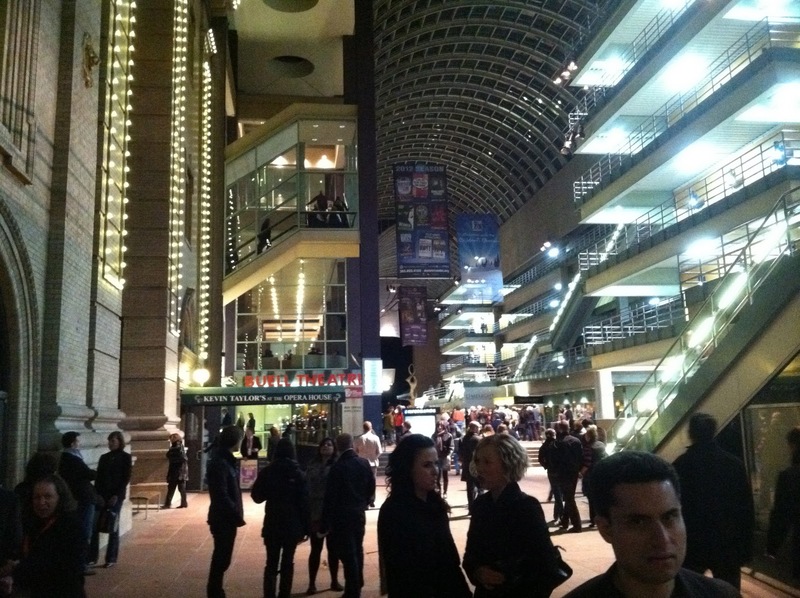 “The Artist” is a celebration, and that jubilance envelops every member of the audience. 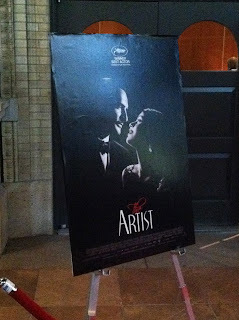 But “The Artist” is so much more than a fun romp through a silent film landscape: it is a glorious love letter to cinema that reveals the true power of the art form by going back to basics. It is proof that film does not require dialogue, sound effects, complex storytelling, thick layers of metaphor, or even an antagonist to be engaging. Those are all just icing on the cake. All the filmmaker needs is a great idea, realized with a strong story and memorable characters, and it can all be brought to life with nothing more than images and music. 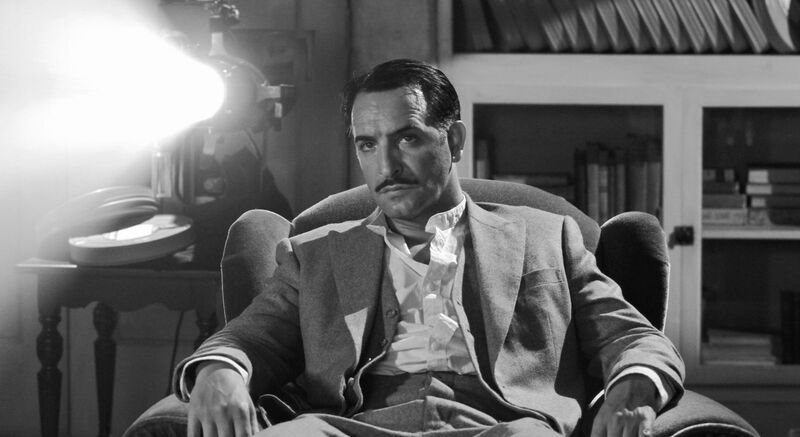 “The Artist” may not be the deepest or most elaborate film of the year, but it makes a great case for the idea that cinema at its purest is cinema at its most powerful. Stripped to the barest components of the medium, there are no barriers for the film’s emotion to pass through. The audience feels the full blast of every laugh and every tear, with bold ranges of nuance in between and no immediate distractions to clutter the mind. “The Artist” is film personified. The story is simple, a vehicle to explore the life of one of the most magnetic screen characters to come along in ages: as played by Jean Dujardin, George Valentin is a character we root for and sympathize with at every turn. In the early scenes he is pompous and full of himself, but endearingly so; he knows he is loved, so why not love himself a little bit as well? It took only minutes for me to fall head over heels for George, and that instant investment in the character pays off when Valentin falls on hard times. Much of “The Artist” is a simple portrait of a star in decline, and with a character this engaging, that modest story becomes riveting. I can’t possibly say enough good things about Dujardin’s performance. It doesn’t look like acting, for starters; assisted by his authentic 1920s look, Dujardin simply melts into the role: he and George are one and the same. More importantly, Dujardin is an incredibly expressive actor, just like the silent stars of the period. He has to illustrate George’s complex character arc without any dialogue whatsoever, a task he accomplishes with ease; Dujardin’s face tells the story. He has crafted one of the most memorable, fully formed characters of the modern era. As good as Dujardin is, Bérénice Bejo matches him at every turn playing the perfect embodiment of the 1930s female star, right down to the character’s name: Peppy Miller. What a wonderful name. What a mesmerizing character. Bejo instantly makes us believe that this woman would be destined for stardom; after all, anyone who has watched a film from the 1930s has seen a version of Peppy Miller before. She taps into our collective cinematic consciousness, but more importantly, she is irresistibly endearing as a person. We don’t ever feel malice towards her for robbing George of his career; it’s not her fault, and she winds up beating herself up over it more than we do. The arc she shares with George is extraordinary, giving the film its lovely, beating heart. I would love to see a sequel to “The Artist” just to find out what adventures George and Peppy might have in the future. They are surrounded by tons of other great characters as well; James Cromwell (who was in attendance at tonight’s screening) plays George’s driver, Clifton, a simple but endlessly lovable creation, while John Goodman plays George and Peppy’s anger-prone producer. Penelope Anne Miller, Missi Pyle, and Malcolm McDowell also show up in supporting parts. I was worried the use of recognizable, big-name actors would pull viewers out of the period, but the performers are all so committed to the film’s context that it never becomes a problem. The best character in the movie is not a human, however: it is a dog, and his name is Uggy. Uggy is George’s sidekick, both on and off screen, and he is at the heart of all the film’s biggest emotional moments. Can a dog get a Best Supporting Actor Oscar? If so, Uggy at least deserves consideration. “The Artist” is a technical marvel, starting with the breathtaking cinematography. The black-and-white is executed expertly, proving that color isn’t inherently better, just different. Likewise, the 1.33:1 framing (the same as an old 4x3 TV) is magical. I’ve long had a fascination with this aspect ratio; once widescreen was invented, filmmakers largely abandoned the format, but when done right, I think 4x3 framing can be just as impressive or cinematic as widescreen films. It forces the director to carefully consider each and every shot, because only so much can be fit in; if framed properly, there’s nothing else like it, and Guillaume Schiffman’s spectacular photography in “The Artist” makes me a little bit sad that modern films don’t experiment with old-fashioned framing. Like color, widescreen is not inherently better, something “The Artist” asserts in every last shot. What can I say about the music that could possibly sum up the brilliance of what composer Ludovic Bource has accomplished here? Music drives everything in “The Artist.” I’ve often explained that a film’s score shouldn’t tell us what to feel, but merely enhance our natural, instinctive emotions. Those rules work a little bit differently when the characters can’t speak; the music must speak for them, which means Bource gets to break a lot of the rules film composers are typically restricted by. The score is magnificent, delivering everything the dialogue would normally say and more in a series of beautiful, unforgettable compositions. It is undoubtedly the best score of 2011, and I can’t wait for a soundtrack album. I also can’t wait to see “The Artist” again, though some small part of me wants to leave it alone forever. How could I possibly top the experience of seeing “The Artist” pristinely presented in an opera house? I couldn’t, but that doesn’t rob the film of its magnificence. It is everything a movie should be and so much more. Though it caters to many of my personal tastes and interests, I believe it is a film all audiences can embrace. In fact, more than any movie I’ve seen this year, I can’t imagine a single viewer walking away without a smile on their face, and as such, I’m recommending this one more strongly than any other film I’ve watched in the past eleven months. The fact that it is silent shouldn’t deter a single viewer, not even children, who would probably get an absolute kick out of the experience. The silence is merely a tool to highlight the simple, inherent power of cinema. 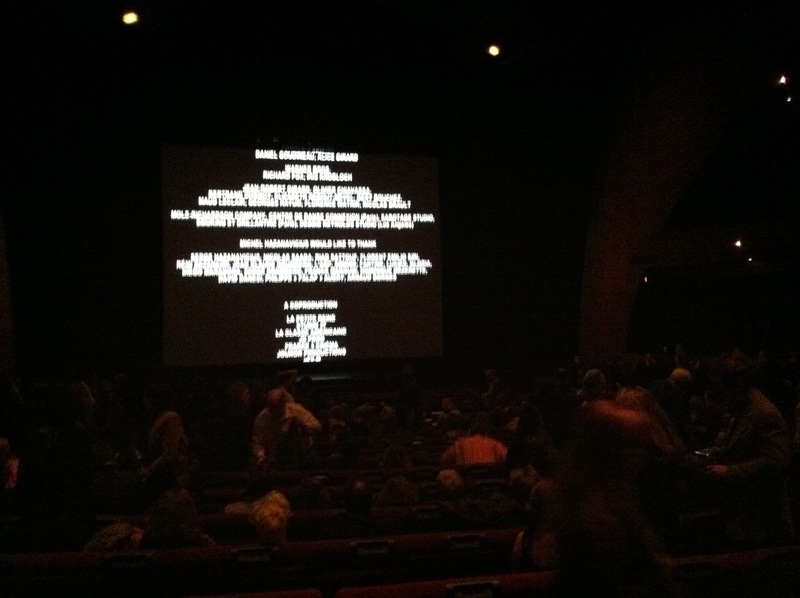 “The Artist” reminded me of all the reasons I love movies. Chances are it will do the same for you. 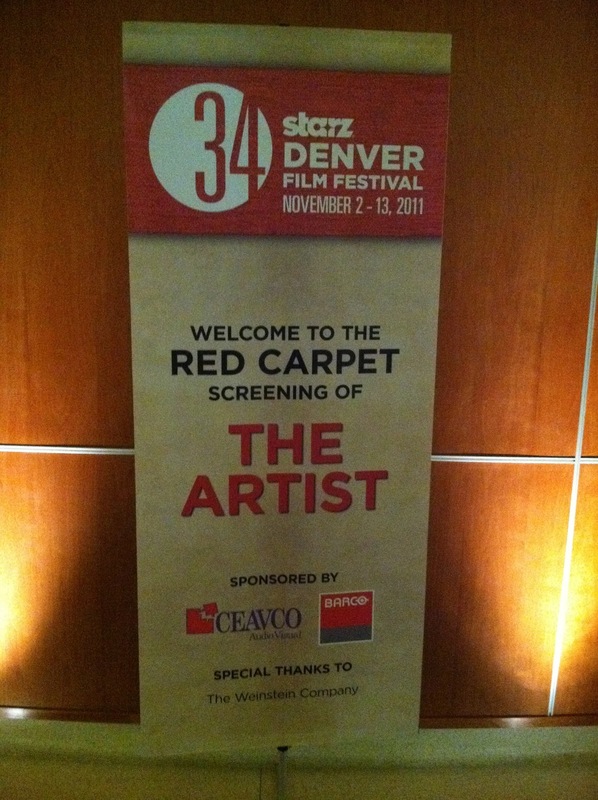 "The Artist" will open in limited release beginning November 25th. Though tonight was the "Closing Night" gala, there is one more day left in the festival, and I'll have two more reviews for you tomorrow!